Use these helpful resources to help you speak English quickly and fluently. Build your confidence by saying the days of the week, months of the year and numbers, as well as practising common greetings and questions. 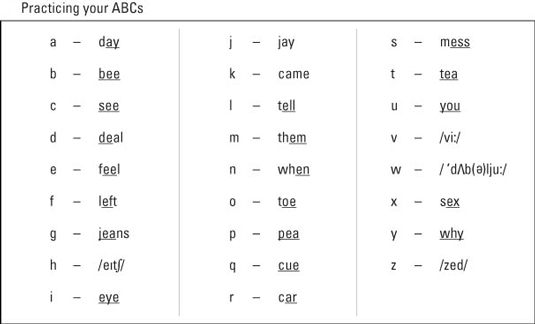 When you’re learning English as a foreign language, print out and keep this alphabet handy. We include a pronunciation guide to help you say the English letters correctly. 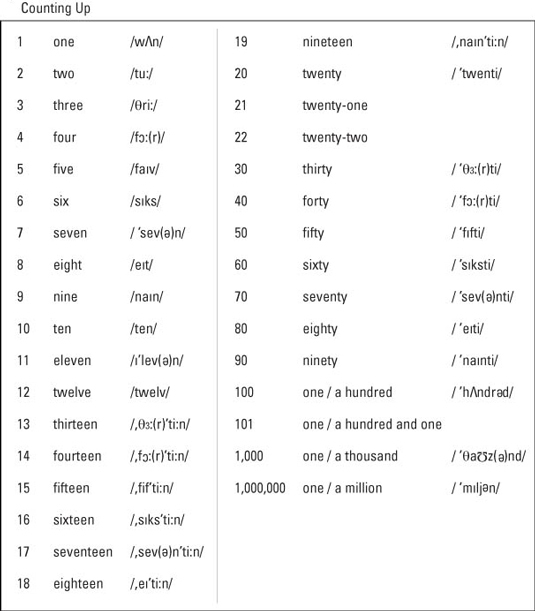 Counting in English, when English isn’t your native language, is easy to learn with this useful Cheat Sheet and pronunciation guide. Use this Cheat Sheet to practise telephone numbers, currency and people’s ages. 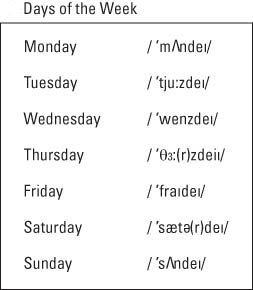 Want to learn the days of the week and the months of the year in English? Keep this Cheat Sheet handy and use the pronunciation guide to practice. When you’re learning English as a foreign language, practise these greetings and questions to sound like a British native in no time. Remember to tailor your greetings – whether formal or informal – depending on who you’re talking to.